Every child who writes will eventually need to erase their mistakes. That’s why heart-shaped erasers make great alternatives to typical Valentine’s Day treats. You can also opt for smiley-face erasers for another unique option. Either head to your local store or if you are looking for an online option, check out these items on Amazon that you may like: Heart Shaped Erasers or Heart Shaped Pencils. 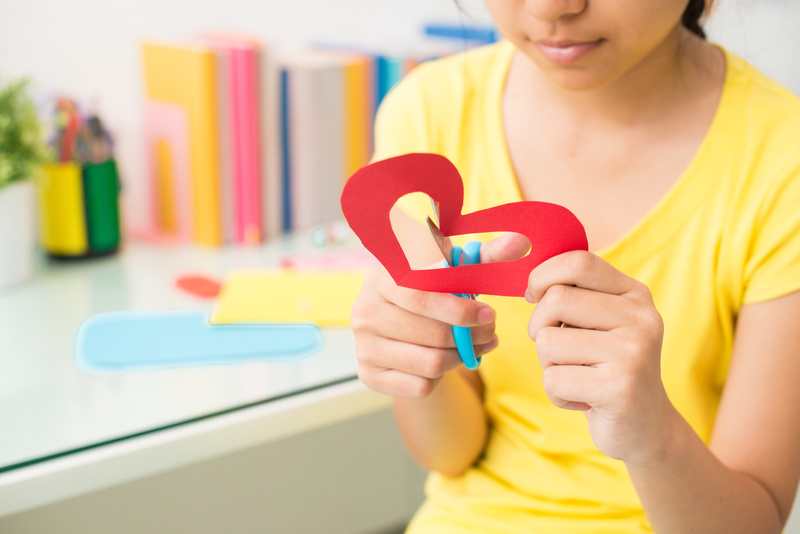 Get crafty with your kids and help them create Valentine’s Days bookmarks to exchange with their friends. You can help your kids create unique bookmarks for Valentine’s Day by cutting out photos of themselves, drawing hearts and using stickers and tassels to attach to the bookmark. It’s a great alternative to a sweet treat that also encourages kids to read! You can create heart-shaped energy balls as Valentine’s Day treats for your kids to exchange. Just mix and bake ingredients, such as unsweetened dried fruit, ground flaxseed, almond butter, gluten-free oats, unfiltered honey and vanilla to create a healthy treat free of unnatural sugars or additives kids will love. Make it more unique by using a heart-shaped cookie cutter, sprinkling it with cacao nibs and placing the snacks in parchment paper and cellophane. You can give it the perfect finishing touch by the wrapping with red or pink curly ribbon. Pinterest is a great resource for creative ideas, especially when it comes to holidays like Valentine’s Day. Check out our Candy-Free Valentine’s Day Idea Board for easy-to-make Valentine’s alternatives that kids will love. Just because it’s Valentine’s Day doesn’t mean your children have to load up on sugary treats. Instead, opt for alternatives to sweet Valentine’s treats and go for healthy and fun treats your kids will love...candy-free! At Brain Balance, we recognize the importance of healthy nutrition for optimal child development. That’s why as part of our program, we offer a one-of-a-kind proprietary nutritional plan called The Balance 360 System. It progressively removes foods that contain gluten, refined sugar, and dairy. These foods are known to have negative reactions on the brain, leading to food sensitivities and inflammation, causing negative behaviors, physical symptoms, and learning challenges. Contact us to learn more!